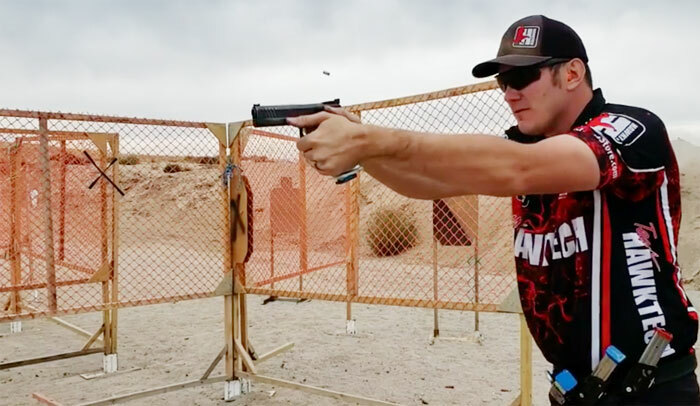 Recently we sat down with Christopher Collins with Team Hawktec and also one of our sponsored shooters about USPSA and the Limited division he runs in. During our conversation, that we will be posting up this week, he gave some logical advice about people who want to come into USPSA and shoot the Production class. His advice was this. Don’t go and shoot production, enter in limited class. The reason for this was production caps your magazines at 10 rounds each and a few more restrictions. With limited you don’t have that magazine change and can focus on shooting and less on reloading. That way you can get better at shooting and then transition to production if that’s something you really want to go to. Here is a clip from the video we will be posting later this week.